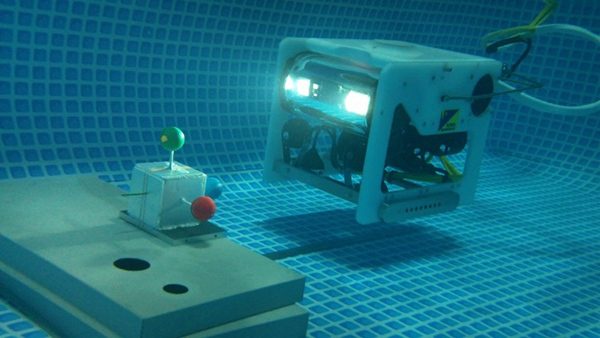 The MOS/AUV underwater robot approaching a target represented by coordinate system with three colored balls. The MOS/AUV robot successfully navigated to the target from different starting points and completed a connecting task of a rod with a tube set beside the 3D marker. 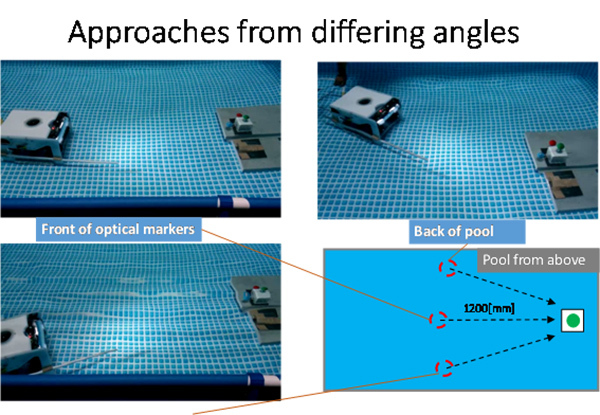 Okayama University researchers in collaboration with industrial partners have developed an innovative underwater robot incorporating intelligent three-dimensional object recognition CCD technology for autonomous search and tracking operations over long durations of time in open water. 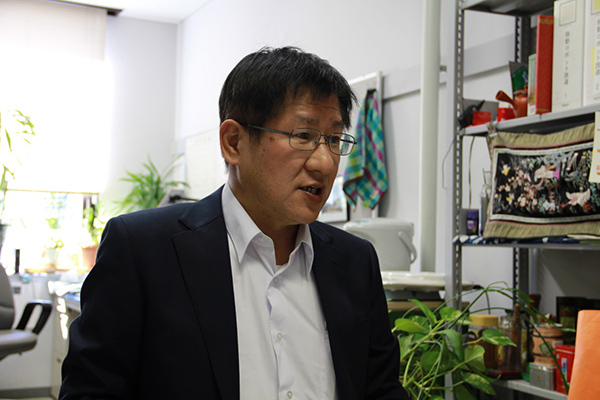 The Okayama University MOS/AUV is expected to find applications in areas including decontamination of radiation contaminated the floors of seas, oceans and lakes; exploration of ocean floors for materials such as methane hydrate and rare earth metals; maintenance of underwater telecommunications cables; environmental monitoring and surveys of marine life; underwater mines; recovering space debris; and lifesaving. Notably, the robot moves autonomously taking into account changes in the position of the target, with the capability of tracking targets moving at speeds of up to 10 mm/sec. The MOS/AUV is being developed with Kowa Corporation, a company based in Osaka, Japan, specializing in underwater equipment.